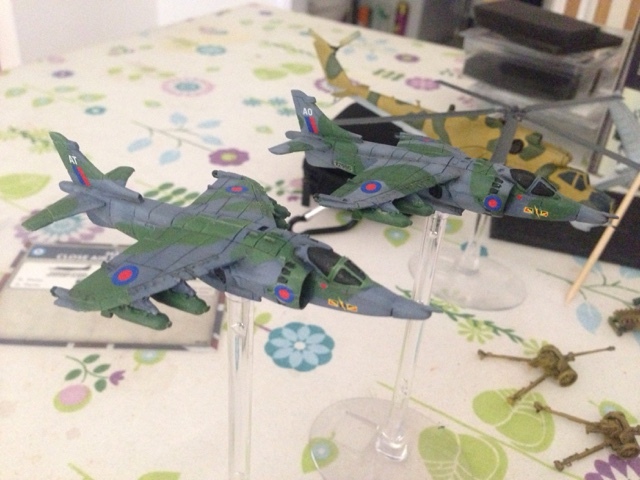 Recently I have been reading the rules for Team Yankee with the aim to paint up a small playable force - I eventually settled on a Soviet Afghantsy force, but when the Harrier Jump Jets for the British were released, I couldn't resist painting some up. 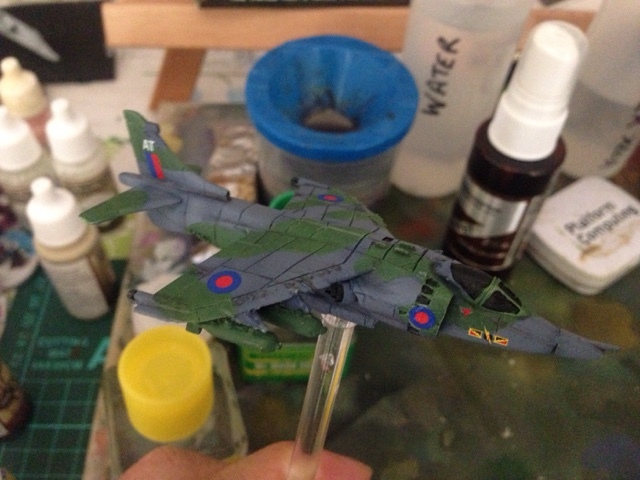 The reason was because as a 7-year old child, I had received this kit - the actual model has long been lost in the midst of time, but I can still remember assembling it and studying the colour scheme to determine how to paint it (along with a trip to the model shop to get all the necessary colours, in enamel no less!). So seeing the Team Yankee release, I was determined to paint up a box in the old faithful colour scheme. 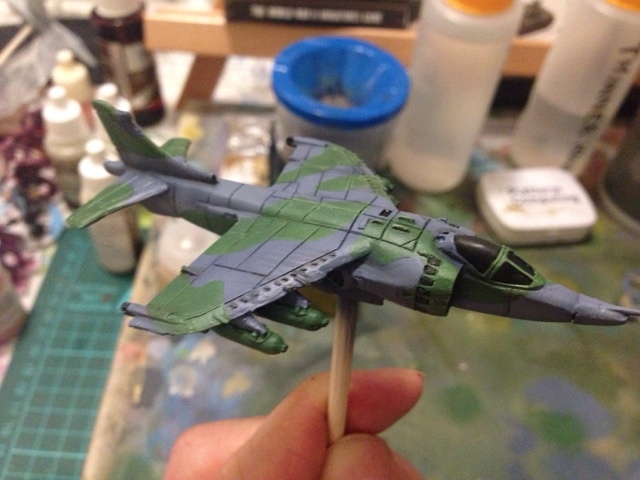 I then masked off areas I wanted to keep green, so that the model was ready for the next colour. 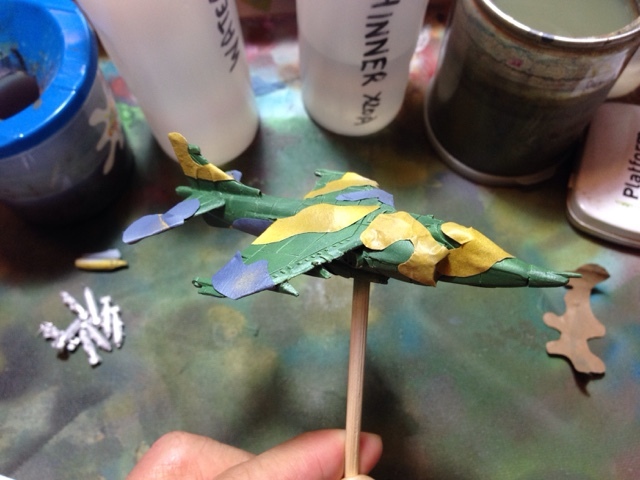 I had cut the camouflage mask out of soft masking tape, and made sure it was attached firmly to the body of the aircraft. The next camouflage was a spray of Vallejo Game Air shadow grey. 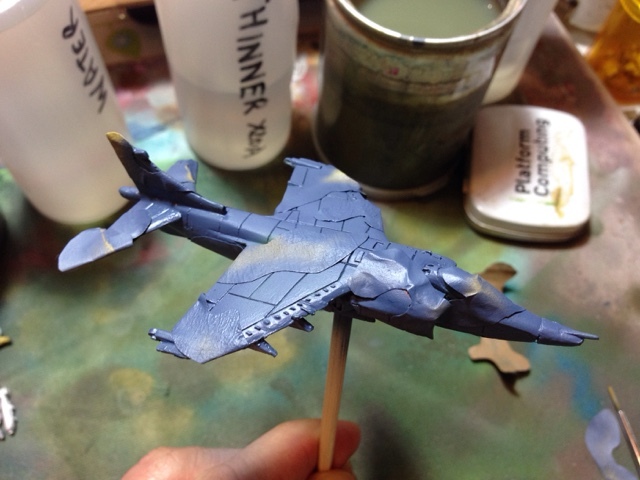 The panels were then given a highlight with Vallejo Game Air wolf grey, still using the airbrush. The masking tape was removed, and it was time to pick out the details. I washed the panel lines and did some weathering using Army Painter Strong Tone and Dark Tone. The canopy and air vents were picked out with black. 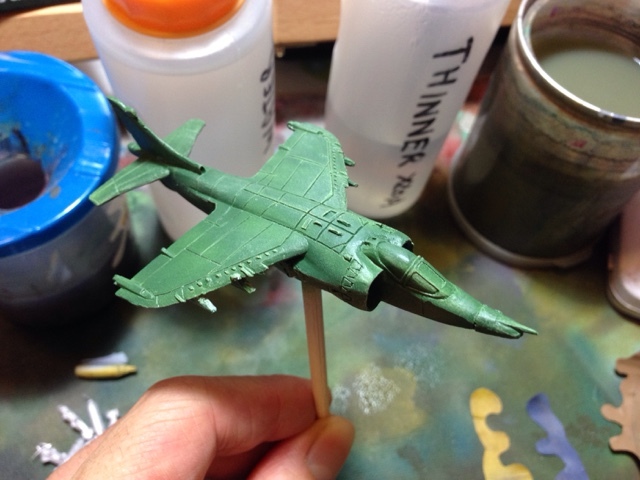 The armaments were applied, and were given a coat of camo green. 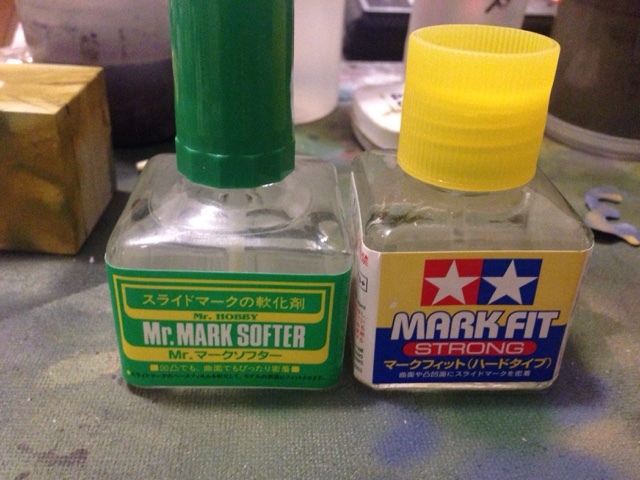 To apply the decals, I got ready my Mr. Mark Softer and Mark Fit Strong. I then chose the decals I wanted to apply, and with the above mediums, got them into the right place. 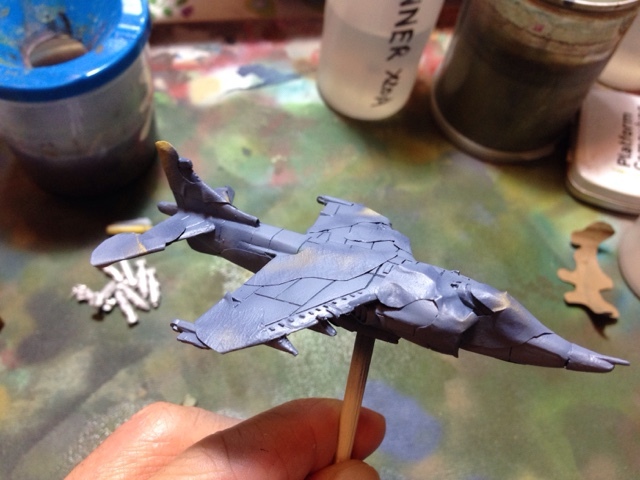 Finally, glued in the flight stems and the harriers were ready! So recently, I received my rewards from the Conan kickstarter by Monolith Games. What a crazy box of miniatures! 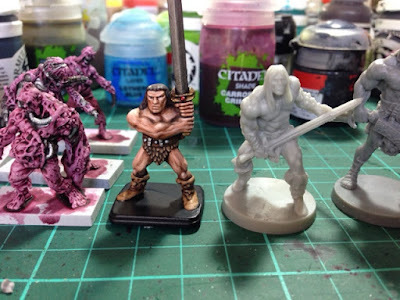 Since I had painted the Hero Quest barbarian and blogged about it recently, I thought I'd show you a comparison of the Conan miniatures so you can see the scale and size difference. It's a shame the light grey plastic fails to show off the details, but it definitely is quite a nice Conan miniature! 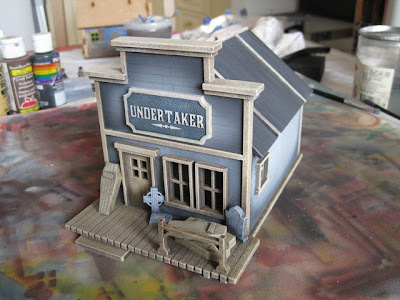 Here's a photo of the awesome Amari miniature from Reaper's Pathfinder range as a comparison. Amari (and the Reaper range in general) are better scaled with the original Hero Quest miniatures, but having said that, the Conan game does it's best to give you a full complement of heroes, anti-heroes and denizens if you wish to use them in your dungeon crawling game. PS. Yes that is Sedition Wars in the background. More on that one next time. Ah, so summer is slowly encroaching and my updates are becoming far and wide between. Fortunately I do have a lot of in-progress posts that require a bit of attention but I should get them out over the next few weeks.